Hungarian opposition calls on government to cancel nuclear pact with Iran. An opposition party in Hungary urged the government to cancel its recent atomic cooperation deal with Iran over Tehran’s flouting of efforts to limit nuclear weapons and support for Hamas and Hezbollah. The Democratic Coalition, which has 21 of the national parliament’s 199 seats, made its demand following the signing earlier this month in the Iranian capital of an agreement on designing small, civilian-use nuclear power plants, as well as a $90 million investment by Hungarian banks in the Islamic Republic. Hungarian Deputy Prime Minister Zsolt Semjén signed a memorandum of understanding on the deal with Ali Akbar Salehi, head of the Atomic Energy Organization of Iran, Reuters reported. The European Union placed sanctions on Iran that until 2015 prohibited its member states, including Hungary, from doing business with Iran in a number of areas, including nuclear technology. But those sanctions were lifted following a deal, brokered by the United States with five other world powers, that scrapped the sanctions in exchange for a scaling back of Iran’s nuclear program. Israel and Republican lawmakers in the United States protested the deal, saying it paved Iran’s path to achieving nuclear weapons. Former US President Barack Obama in spearheading the deal believed the agreement was the best way to keep Iran from manufacturing such weapons. Several European countries have advanced trade with Iran since the lifting of sanctions but few have cooperated with Iran, which for years has defied international inspectors of its nuclear program and obstructed their work on the sensitive area of atomic energy. In Hungary, which has a stagnant economy and national currency that has lost nearly a third of its value against the dollar since 2014, the pro-Iranian far-right Jobbik party has criticized the country’s center-right government for complying with the EU sanctions against Iran. 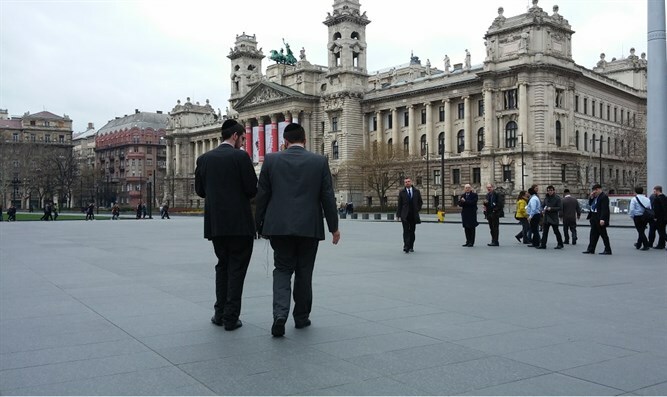 Hungary is among Israel’s closest allies in the European Union. Israeli officials have not commented publicly about the deal with Iran.